After coming along to the BabyBMW Bluewater meet yesterday and meeting a few of you, I thought I better introduce myself on here, or more to the point my car. 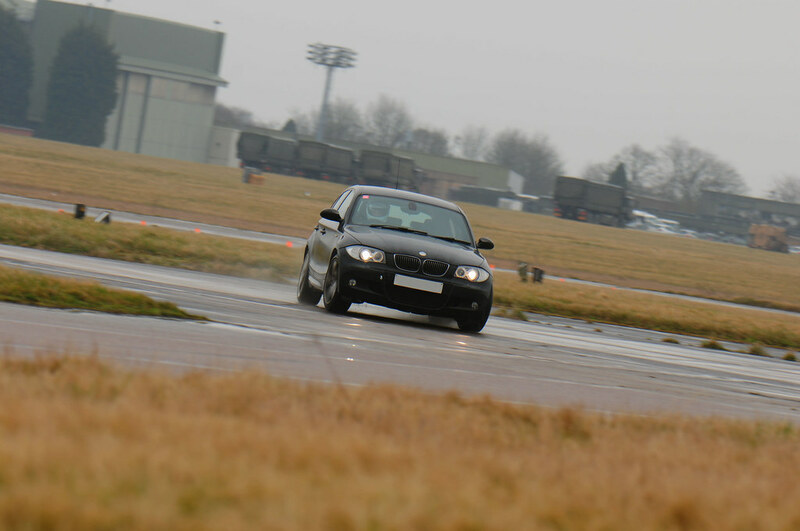 I've been a BMW fan for a while, having previously owned an E36 328i, E46 325i and latterly a couple of E39s. But I wanted something more fun to drive and the 130i has always appealed. I've loved how it packed an NA 3.0 straight six and RWD into a hatchback body, as well as being one of the last cars with hydraulic power steering. Definitely reminiscent of my favourite car to date, the E36. I picked the car up back in February and was immediately impressed. Despite my normal habit of changing cars every six months, this is a keeper. Options wise it has xenon lights (a must have, in my opinion), leather interior, front and rear parking sensors and electric folding mirrors. Unfortunately I failed to notice it lacked cruise control on the test drive (idiot...), so immediately retrofitted it with help from a fellow BabyBMW member. I've now done more than 10k miles in it, in fact tomorrow I'll be taking it for its second oil change in my ownership. From the photos below you'll seen it's been on a few track days, most recently on a trip to Spa and the Nurburgring. It's also done a trip to Holland and plenty of travelling in the UK. To freshen it up, I've fitted a set of new OEM dampers. Personally I'm happy with the standard set up and didn't see a need to go down the modified route here. Something that did need uprating though was the brakes, so I've fitted a set of Performance Friction Z-rated pads. It could do with a little more front end so I'll be doing the M3 LCAs very soon. It's crying out for an LSD too, so long term a visit to Birds is in store. Day-to-day I run it on 17-inch wheels with 205-secion Goodyear Efficientgrip tyres, making it much more exploitable (not to mention more comfortable and quiet) at road speeds. The 18s have been relegated to track wheels, shod with the ubiquitous Nankang NS-2Rs. And the tow car thing? I've just bought a race car so had a tow bar fitted to the 130i. 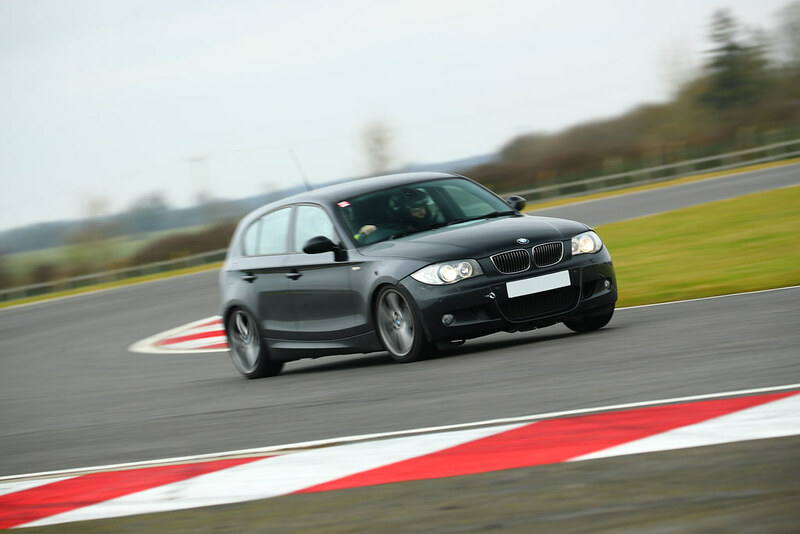 It will still be doing occasional track car duties though - a true Jack of all trades! Nice one great allrounders and why I cant stay away as on my 3rd one now! What are you planning on towing though? braked trailer limit is 1200kg that you can tow legally with these and a sturdy car trailer can weigh half of that, some even more so doesn't leave much for a car on it, I guess a caterham or similar would be ok. It's an 'or similar'. Trailer plus tow car totals 905kg, which gives me a bit of headroom. In fact I chose the race car on the basis of it being light enough to not impinge on my choice of tow car. I did actually read your suspension thread Ian and I'd have probably tried the shorter rear bump stops, but because I'm towing I don't want to remove anything that increases the effective spring rate of the rear suspension. Nice one i keep toying with idea of getting something similar and towing it with the 130i so be interested to see how you go. Certainly with towing you wouldnt want the shorter rear bumpstops as you say, maybe think about a set of the firmer eibach rear springs to help prop it up but hopefully if you can get trailer nose weight sensible it shouldnt be too bad. I went for a Witter hitch (known to be one of the best) with genuine BMW electrics. The gross weight of the 130i is 1875kg and you can have a combined MAM of up to 3.5t without doing your B+E test. That gives you a legal towing capacity of 1625kg, although the braked towing limit in the handbook is only 1200kgs so you're more limited by that. In my case, the trailer (Brian James Minno) is 375kg and the Locost 530kg, which means I'm at only 905kg – loads of headroom. Just make sure the plated gross weight of your trailer is 1200kg or under. Even if the car and trailer clearly come to less than this, the law's based on the capacity, so you could be pulled up on it if you were stopped. That's a pretty handy setup.